For a teenage Mark Zuckerberg, high school mathematics class meant dreams of traveling to distant worlds through virtual reality. Those ideas stayed with him as he grew Facebook into the mammoth it's become today, and they're now guiding him as he ponders the future of the social media platform. It will be immersive, it will be bring people closer together, and it will happen sooner than you might think, he said on Sunday in Barcelona. "I’ve been waiting for the day to come when we can deliver this experience," he said. "Today, this is now possible. That day is here." Zuckerberg was speaking at a Samsung event held to launch two new smartphones and where the South Korean company also unveiled a new 360-degree still and video camera called the Gear 360. The two companies started working together last year, and in November Samsung launched the $99 Gear VR headset. Users clip in a compatible Samsung Galaxy smartphone to be able to take virtual adventures. Attendees watch virtual reality content in Gear VR headsets at a Samsung event in Barcelona on Feb. 21, 2016. The Gear VR is based on technology from Oculus, a virtual reality company Facebook acquired in 2014 for $2 billion. At the time, some questioned Facebook's purchase of Oculus, but now the reason for it is clear. Virtual reality relies on 360-degree videos that capture a scene from all angles. It requires a camera with two or more lenses and software that stitches the video or still images together. That's what Samsung's Gear 360 does. Earlier in the day, LG Electronics announced a similar 360-degree camera. For viewers, similar software is required to make sense of the video and play it either on a conventional screen, where viewers can move the video to look around, or on a virtual reality headset, where they move their heads to look around. Facebook added support for such video last year and Zuckerberg said there are already 20,000 360-degree videos on on Facebook. "We’ve only just started to explore what’s possible with video and VR," he said. "It's still really early." To help push the technology forward, Facebook recently formed a number of engineering teams to create new social VR applications, he said. The rise of VR is very much one of modern technology. Scientists have been experimenting with VR for years, but it's only been in the last couple of years that computing and telecommunications has gotten to the stage where it's possible to do in good quality on reasonable hardware and networks. But more work is needed. "One day soon, all of us will have the power to broadcast live," he said. "To do that, we’re going to have to solve a lot of really complex engineering problems." 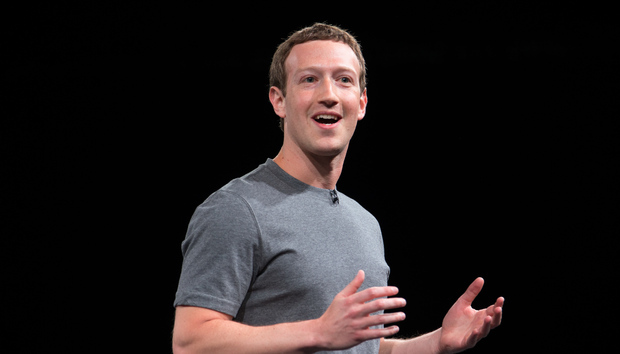 Zuckerberg credited Samsung for helping come up with some of the hardware components required. He said engineers at Oculus and Facebook are also working on reducing network-related challenges. One recent innovation involves streaming just the part of the video being viewed rather than the entire 360-degree view. That's helped engineers realize a 4x increase in the quality of video while reducing bandwidth consumption by three-quarters, he said. Zuckerberg said Facebook and Oculus are committed to VR "for the long term" and new VR games are among the new experiences coming this year.